Spinner Knob Auxiliary Booster Aid Control Handle. Mounted to the steering wheel, increasing the torque effect, turntable can be rotated 90 degrees. 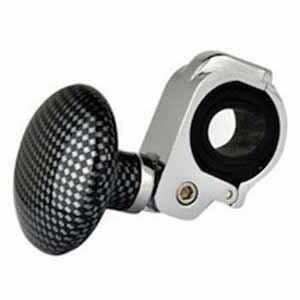 Suitable for the steering wheel diameter below 1,1/3″ (32mm). Move mouse over the image to see more.